Faculty and staff in the College of Science and Mathematics are acknowledged for the great work in their respective fields and for the impact they have had on their student's lives. Ed Himelblau knows there’s an art to teaching; in fact, there’s art — literally — in his lectures that help improve “student learning and classroom experience.” Inspired by The New Yorker magazine, he started drawing biology cartoons while a cell and molecular biology graduate student at the University of Wisconsin. For years he’s incorporated art and humor into his lessons. He earned bachelor’s degree in biology from UC San Diego in 1992 and a doctorate from UW Madison in 2000. He has taught at Cal Poly since 2005. Francis Villablanca gained notoriety in 1986 as an undergraduate biology student at Cal Poly for research involving the elusive Morro Bay kangaroo rat. He’s the last human to have observed this endangered mammal in the wild. Curiosity led him to study kangaroo rats for his doctorate in zoology at UC Berkeley. 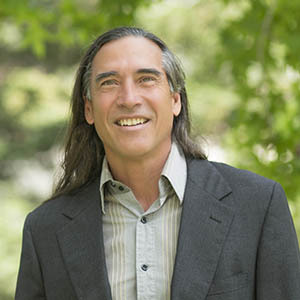 After UC Berkeley, he worked as a postdoctoral researcher at Louisiana State University and as an associate researcher at the University of Hawaii, before returning to Cal Poly in 1999. Research continues to be a passion — and continuing studies of endangered species — but he also has a passion for the classroom. “He goes above and beyond during his lectures to make sure every student succeeds,” said a senior biology major in her nomination letter. 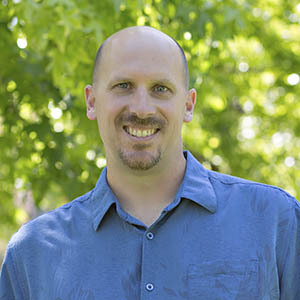 Doug Brewster is described as a loyal, well-respected and highly productive problem-solver. Faculty members credit his expansive expertise in fixing, designing and fabricating equipment and items that enhance hands-on teaching and research. Brewster’s skill, knowledge and willingness to help has enhanced faculty members’ research capabilities and has allowed hundreds of students to be involved in research studies. “He possesses an enormous amount of technical knowledge regarding fabrication techniques and is always learning about new materials, fabrication tools and mechanical systems. He helped develop equipment as sophisticated as an enclosed chamber and tripod lift system that allowed one of our researchers to be the first scientist to measure the metabolic rates of 300-pound Weddell seal pups in Antarctica and more simple nest boxes for a researcher studying birds,” wrote a faculty member. Another said, “He is extremely pleasant and enthusiastically helpful. He treats everyone with equal respect and kindness.” Brewster has been in his position for 10 years. He has served in his capacity since 2002, the year Cal Poly acquired the pier. He is credited with helping to build the program and the pier facility from the very beginning. “The level of responsibility, dedication, loyalty and breadth of support he provides exceeds the expectations of most facility and program managers,” wrote a nominator. The favorite part of Moylan’s job is working with students, faculty, staff and administrators to enhance Cal Poly’s marine science program. Twice a year Mr. Moylan organizes open house events at the pier that attract thousands of people who learn about the research activities of Cal Poly students and faculty. Beth Chance, Karen McGaughey, Allan Rossman and Soma Roy introduce students to the process of statistical investigations: asking meaningful research questions, collecting data, making inferences and drawing conclusions. The faculty introduce the concepts of statistical inference by using simulation and randomization methods. Students toss coins, spin spinners, shuffle cards, and use web applets to learn, visualize and understand what chance outcomes mean and what results are unlikely to happen by chance alone. To leverage modern technology to improve learning, the professors developed a suite of freely available applets that enable students to explore statistical concepts dynamically and visually. 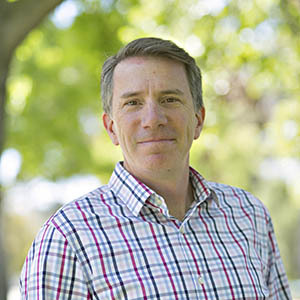 The professors were awarded two National Science Foundation grants to develop and implement one of the first comprehensive curricula for introductory college-level statistics classes that utilizes an active-learning pedagogy throughout the curriculum; emphasizes the core logic of statistical inference using simulation and randomization-based methods with an intuitive and spiral approach; and emphasizes the overall process of statistical investigations. These curricular materials have been and continue to be evaluated at scores of institutions across the country. The results have been presented at national and international conferences and published in leading statistics education journals. 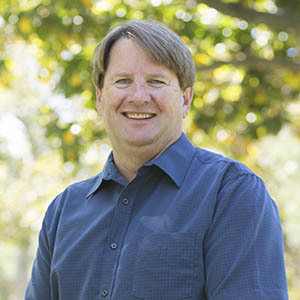 Chance began teaching at Cal Poly in 1999; McGaughey, 2003; Rossman, 2001; Roy, 2008.